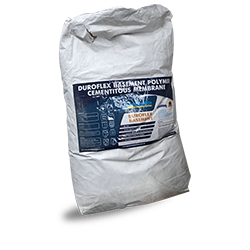 Duroproof PUM is a tough, durable, elastomeric, single pack, liquid applied, moisture curing, cross-linking, polyurethane waterproofing membrane - usually grey in colour. 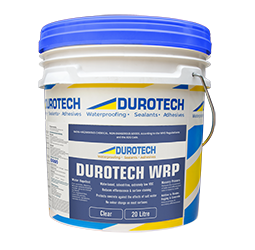 Duroproof PUM forms a tough, flexible, seamless waterproofing membrane designed for both vertical and horizontal surfaces that bonds well to most suitably primed building substrates. 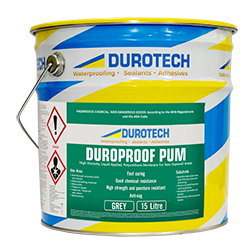 Duroproof PUM is formulated as an anti-sag membrane that although easy to apply by roller or brush, it can be applied on to vertical surfaces without slumping to achieve the require film thicknesses. Fast curing (usually within 24 hour). 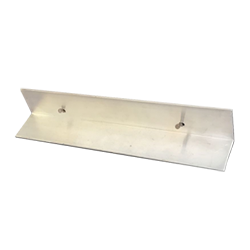 Anti-sag (maintains required thickness without slumping on vertical surfaces). Permanently flexible (tests show initial flexibility of > 500%). Will not bleed , stain grout or tiles. 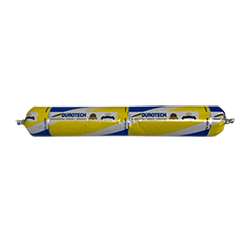 Provides seamless membrane (no joints or laps). Shower recess & wet areas (floors and upturns). Decks, balconies, terraces & podiums. Roofs (covered by pebbles or top coated with Duroproof ATC).